14 inch Round Coco Liner to promote healthy plant growth. Natural coco fibers. For use in round planters. Blooms Deep Liners help protect your floors, carpets, furniture and decks from water and dirt stains left by your potted plants. Placed under potted plants that sit in decorative pots and baskets, these clear deep plant liners are ideal for indoor or outdoor use. These liners are made of durable construction, and are ridged so they will not seal. Their channels keep the plants out of water, leading to healthier, better maintained plants. This 14 in clear vinyl saucer protects floors and furniture from plant dirt and water. Keeps plant out of excess water. Made with extra-thick construction, this plastic saucer is designed to provide extra durability and longer life. Grooves help keep plants out of the water, too. No more stains on furniture, floors, carpet or decks with these strong, long-lasting saucers. Blooms 4 in vinyl saucers are an essential for potted plants. These clear saucers easily catch excess watering, preventing surface stains and protecting carpets, floors, and furniture. Interior ridges keeps plant out of water - keeps plant roots healthy and provides for improved plant growth. The clear colour of these vinyl saucers mixes and matches with all ceramic, clay, and plastic planters and pots. They're made of 100% recyclable plastic and are strong and waterproof! 14-inch Coco Replacement Liners 14 inch Round Coco Liner to promote healthy plant growth. 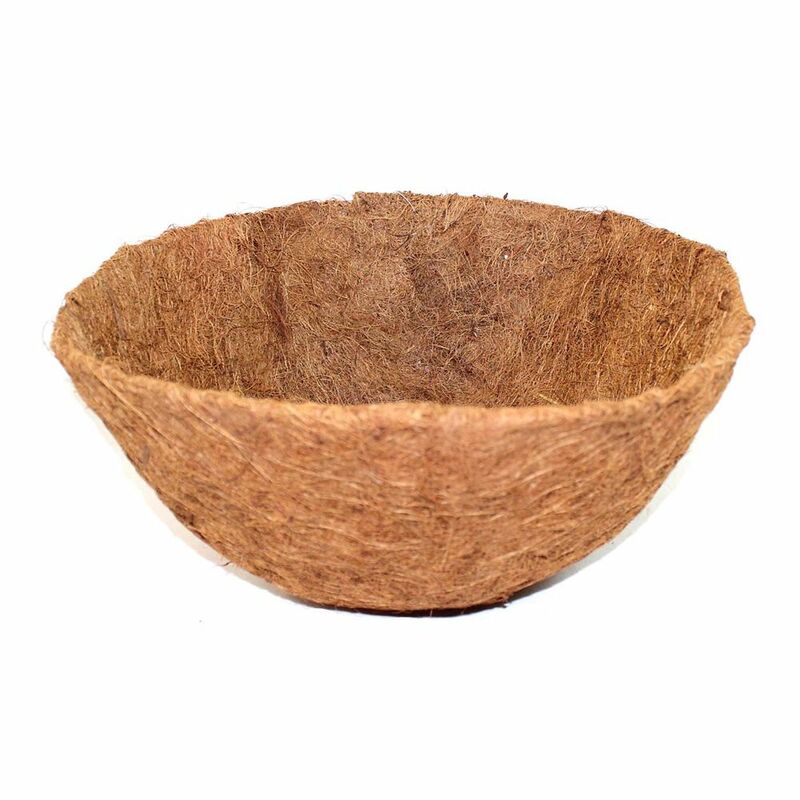 Natural coco fibers. For use in round planters.